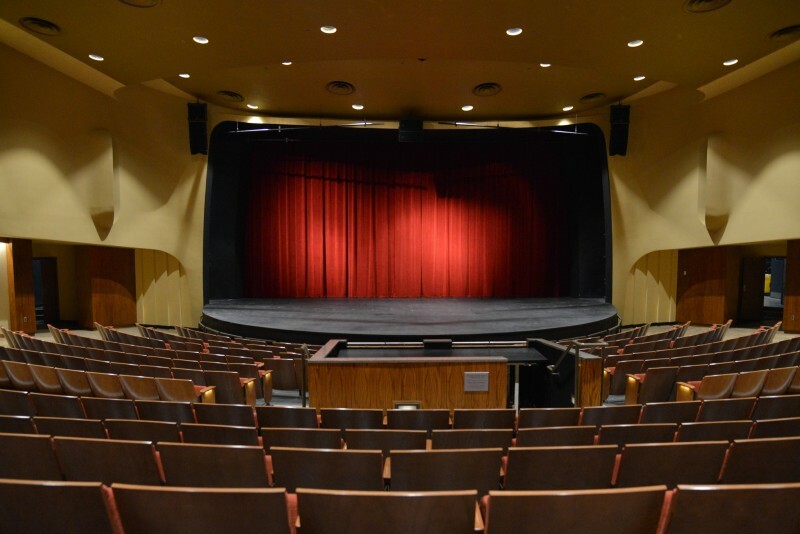 The University of Oklahoma Rupel J. Jones Fine Arts Center, opened in 1965, houses the School of Dance and the School of Drama. Besides two fully equipped dance studios, the Rupel J. Jones Fine Arts Center also contains the newly renovated Elsie C. Brackett Theatre, our 570-seat performance facility with state-of the-art computerized lighting and sound equipment; an adjacent scene shop and design lab; costume shop, dye room and storage rooms; makeup room; men’s and women’s dressing rooms, and the intimate Weitzenhoffer Theatre. In 2005, the School of Dance moved into its new home in the Donald W. Reynolds Performing Arts Center. With two additional, large dance studios, a body conditioning studio, warm-up areas, administrative offices, gallery, and the home of our Ballets Russes Archive, this second, complete theatrical and educational facility provides our students extensive performance and technical opportunities as they learn about dance as a performing and theatrical art. Historic Holmberg Hall, a stunning European-style opera house is also housed In this facility providing a second performance home for our companies.